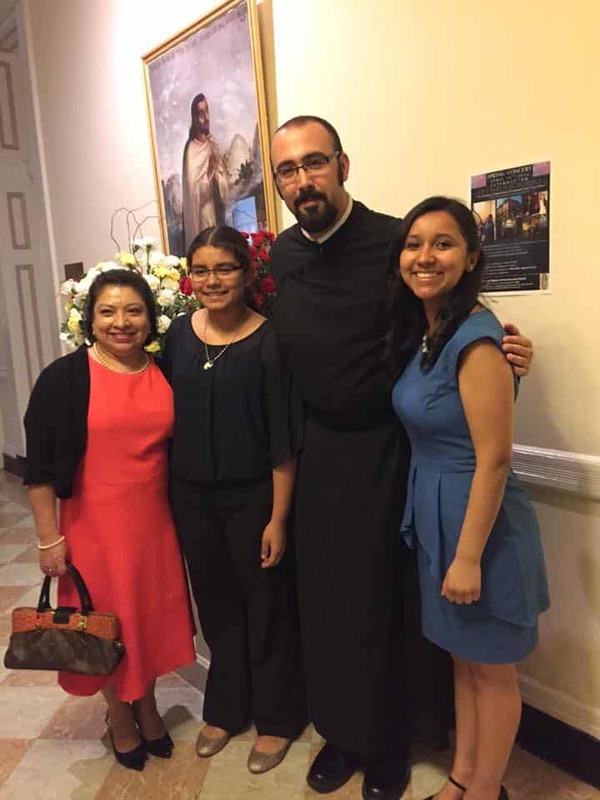 Once, when young Matthew Berrios missed joining his family for the parish Mass they usually attended on Sundays, he looked up an alternative. The Catholic Information Center in Grand Rapids, run by the Paulist Fathers, offered an evening Mass. He headed there on his own. 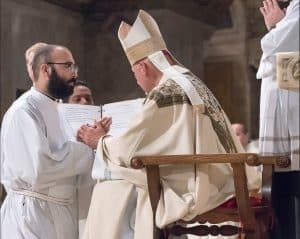 It was a move that would lead him to join the Paulist Fathers — he’ll be ordained as a priest on May 20, 2017. 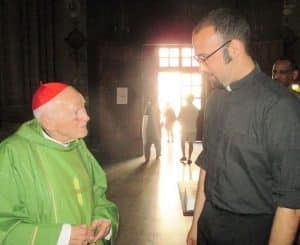 As he approaches ordination, Deacon Matt, a graduate of Grand Valley State University, reflected on that first encounter, and how he arrived where he is today. At that point, being on his own at Mass prompted him to think more deeply about being a disciple of Christ. He was relatively private about his faith. He had a passing thought in high school religion class that he might be a priest, but it would have been hard for others to see that in him. Deacon Matt with parishioners at the parish where he assisted while he was a seminarian in Washington, D.C. 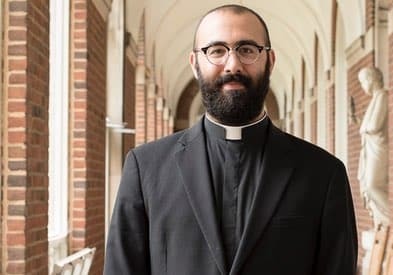 But the thoughts about being a priest kept returning throughout college. That pushback owed to his fears, he says. He researched his options quietly — so quietly that his mother was taken off-guard when he shared his intentions. Deacon Matt’s seminary years have been marked by a big transition in the Paulist community. In 2016, the Paulists sold their longtime Washington, D.C., seminary building and moved to a seminary building owned by the Josephite Fathers. As the next phase of his mission approaches, Deacon Matt most looks forward to the intimate connection he will have with people at the pivotal moments of their lives.